This Irish bird feeder features an angel with Celtic knot-work. 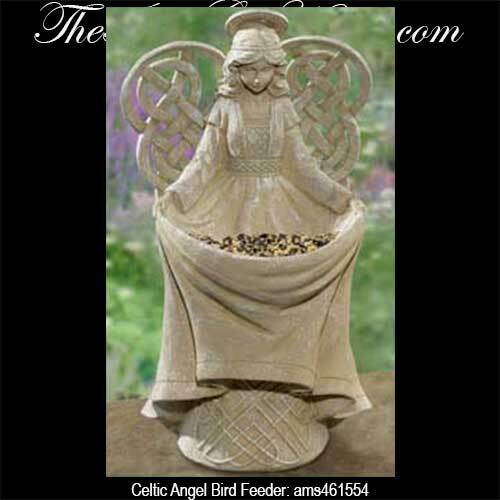 This Irish bird feeder features a Celtic angel that will look impressive in your garden. The Irish angel bird feeder is enhanced with Celtic knot wings along with knot-work on her dress and the base. The Irish garden decor is made of cement and resin and measures 7" tall x 12 1/2" tall. The Irish angel is gift boxed with a Celtic knot history card that is complements of The Irish Gift House.